Spring… it’s in the air. The sun has (finally) emerged here in Seattle and I’m starting to see tiny bits of growth on the trees. 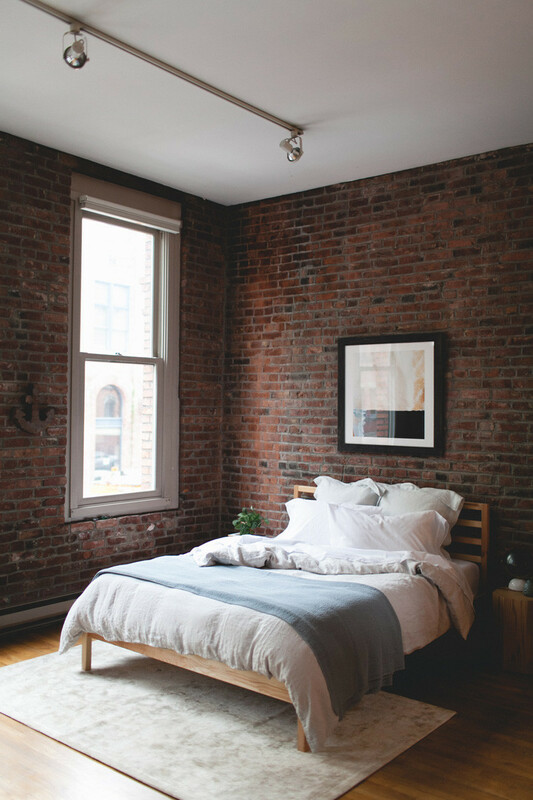 I find myself longing to open the windows and refresh my home — starting with the bedroom. 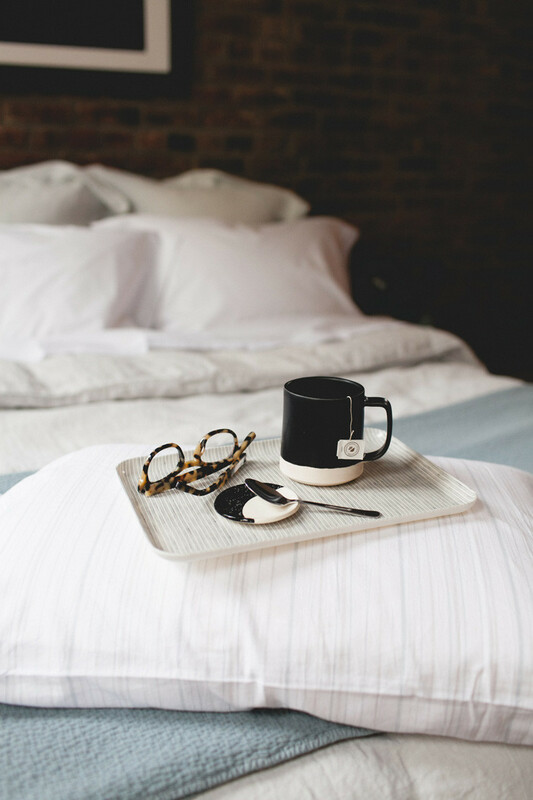 Today I teamed up with Coyuchi to share how I’ve used their newest linen collection to update my bedding, plus a few styling tips! 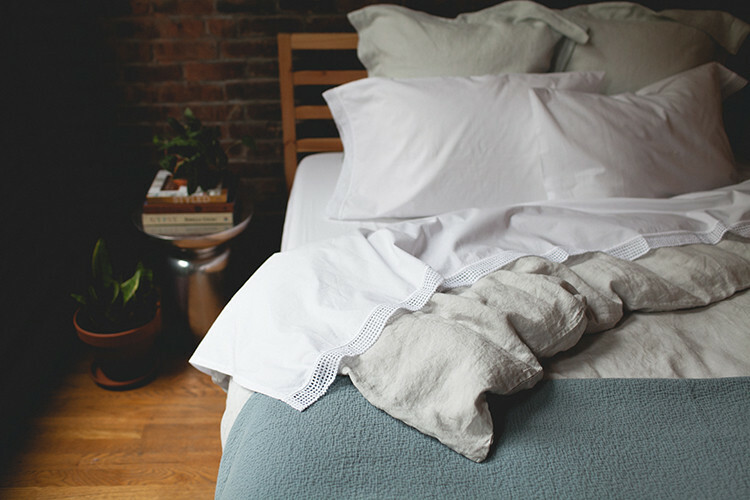 I have been a longtime fan of Coyuchi, but most especially their sheets. 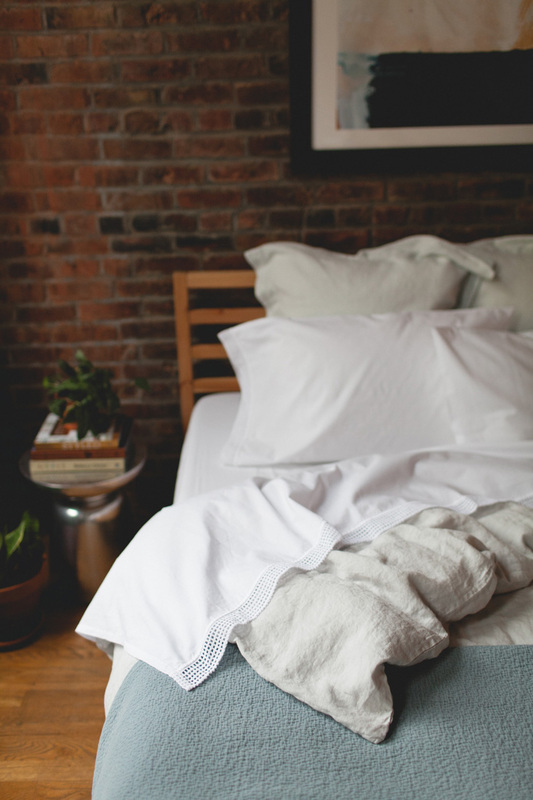 If you’re new to the brand, here’s the rundown: they aim to be the go-to source for sustainable and organic home furnishings that are designed to provide comfort, rejuvenation, and relaxation. 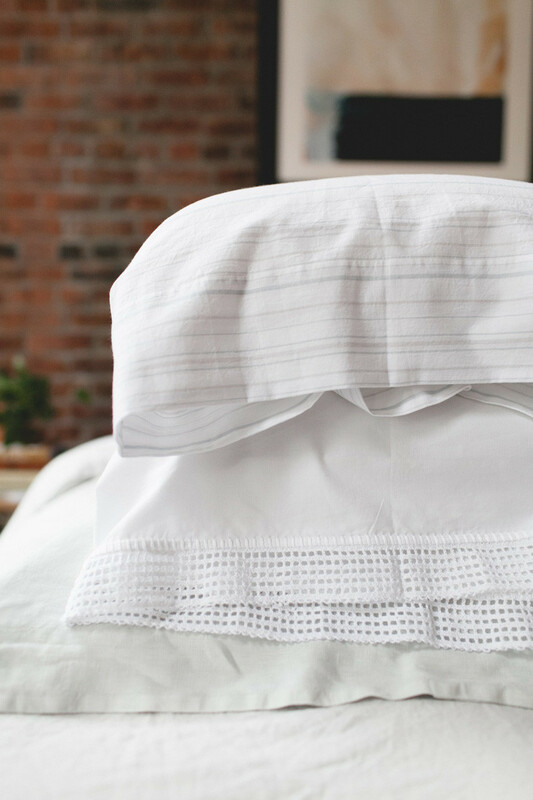 Coyuchi’s bedding is like going to a 5-star spa — you wake up feeling pampered, but in a casual, laid-back kind of way. Recently, Coyuchi launched a collection of linen, a fabric that has been my favorite for a long, long time. I love the casual rumple of linen and how naturally breathable it is. My boyfriend tends to be a warm sleeper, but I get cold easily, so it can be tricky finding bedding that suits both of our needs. 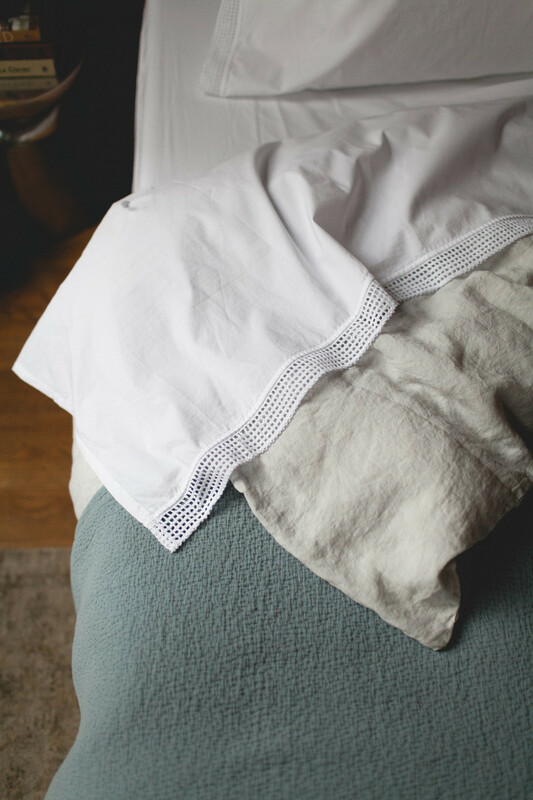 Natural linen is even more breathable than cotton, meaning that we are both comfortable through the night. It’s a win-win all around. 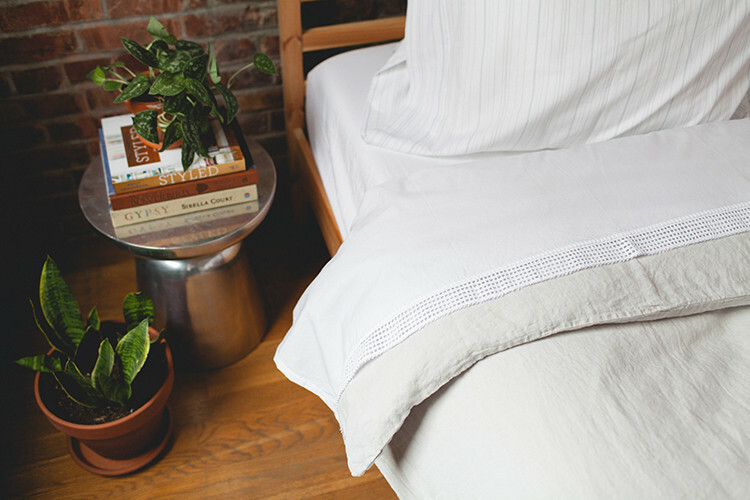 Pick a set of sheets that are neutral in color, but still have something special about them. 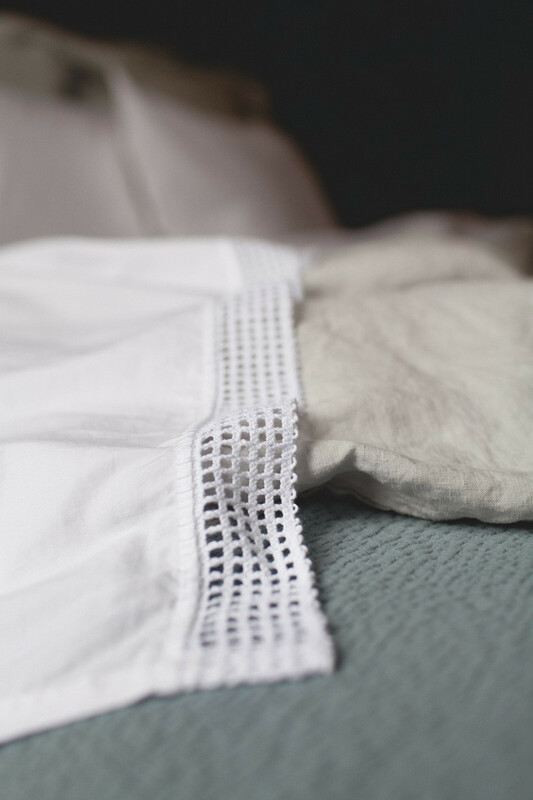 That’s why I love these crochet-trimmed sheets — they are sumptuously soft, but have a sweet, feminine detail. 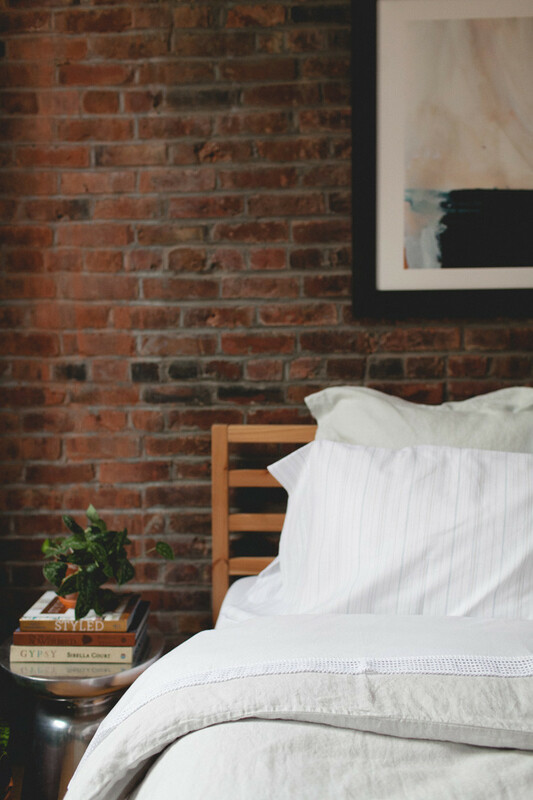 From there, invest in a super-fluffy duvet. I’m a fan of down duvets because I like the loft of the feathers, but some people are allergic. 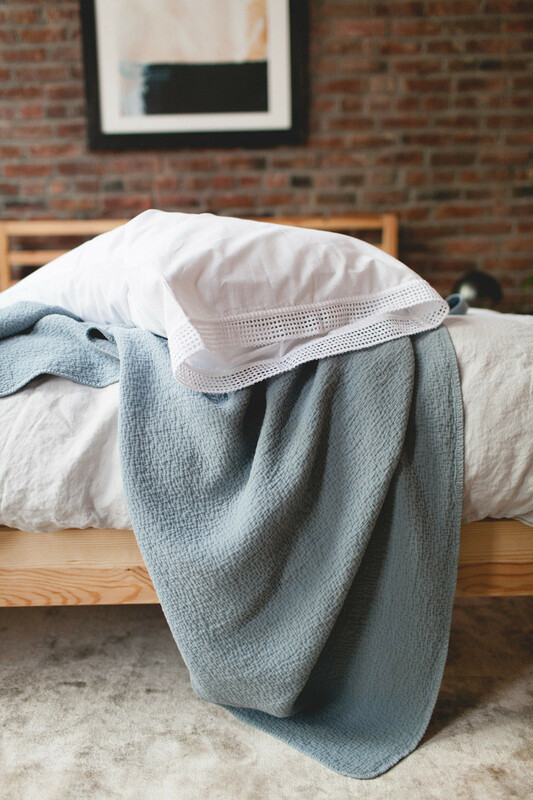 Another option is to go with a wool duvet, which is way better for people with allergies and skin sensitivities. 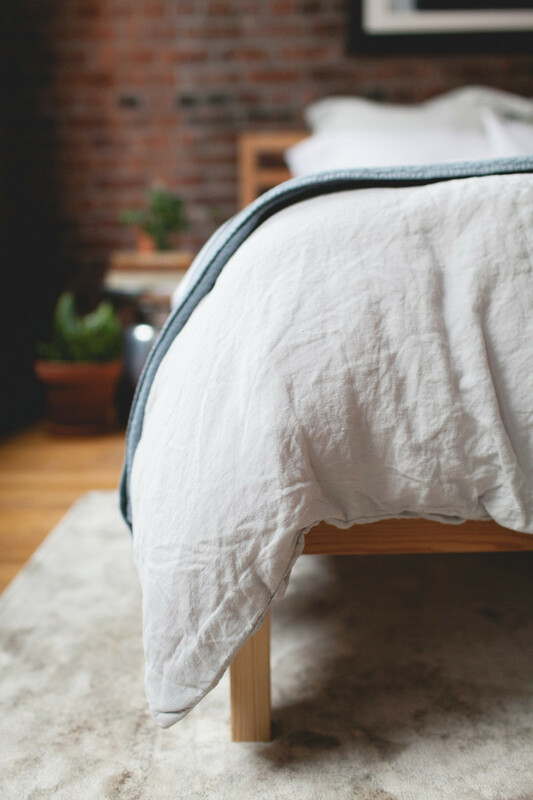 A duvet cover will extend the life of your duvet, plus it’s the perfect excuse to add even more texture to your bed! 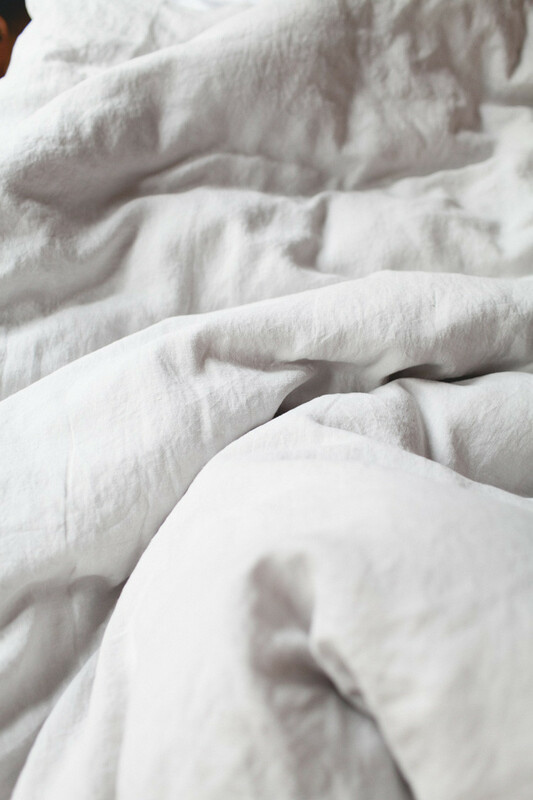 In my opinion, a relaxed linen duvet is truly one of life’s greatest indulgences. Because it’s more of an investment piece, I suggest opting for a neutral color that will pair with everything for a long, long time. Spring nights can still be a bit chilly, so I make sure to keep a cozy blanket on hand. This is where I suggest you add in a bit of color. I’m loving the way this shade of blue feels relaxing, but still provides a soft pop of color. Don’t forget to layer up the pillows! I always go for 2 euro shams along the back of my bed, giving it a feeling of a spa oasis. I also love mixing in pattern when I can. Sometimes it’s fun to simply mix in pattern by swapping the matching shams for a different set. For this look, I used the yarn dye stripe shams to add yet another layer off visual texture to my bed. They also feel a tiny bit more masculine, something that my boyfriend definitely appreciated! Learn more about yarn dye sheets here! As I look forward to spring more and more, I realize just how important a refreshing update like this can be. Lately, I’ve felt so inundated by the everyday stresses of life, from work to home buying, to making time to work out. By the time I slip into bed at night, I want it to feel like an escape, a place where I can unwind and leave the day behind. Great sheets and gorgeous textures help me do that. I urge you to take a closer look at your sleeping environment and make just a few tweaks to create more of a bedroom oasis this spring. If you’d like to make these updates to your own bedroom, Coyuchi has offered Jojotastic readers free shipping through February 24, 2016. Simply use code JOJOTASTIC at the checkout. photography by Meghan Klein, styling by Jojotastic, assisted by Material Delight. This post is sponsored by Coyuchi. All opinions are my own and always will be! Thanks for supporting content that keeps Jojotastic going.